All the applications are in and now the process of choosing a team from all the incredibly talented applicants. We will try to contact our choices in the next few days and then announce the new team the middle of next week. Thank you to everyone who has taken an interest in Sweet Stamps. We hope you will all continue on this new adventure with us. Email scans or blog links of three of your best projects showing your style to stacey@sweetstamps.com with the subject line SweetStamps DT Call. Applications must be in by January 19th. The team will be announced and contacted by email or phone by January 23rd. Benefits and information needed to apply are listed in the previous post (below). 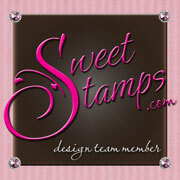 Thank you for your interest in SweetStamps.com.